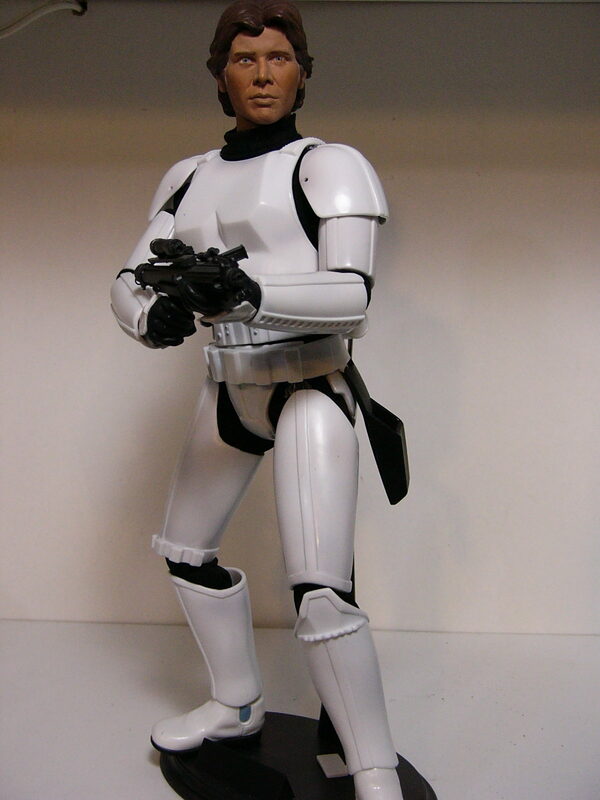 This is a repainted Sideshow ANH Han head sculpt on a Hasbro OTC Collection 12″ Stormtrooper. This was another early attempt at painting head sculpts. 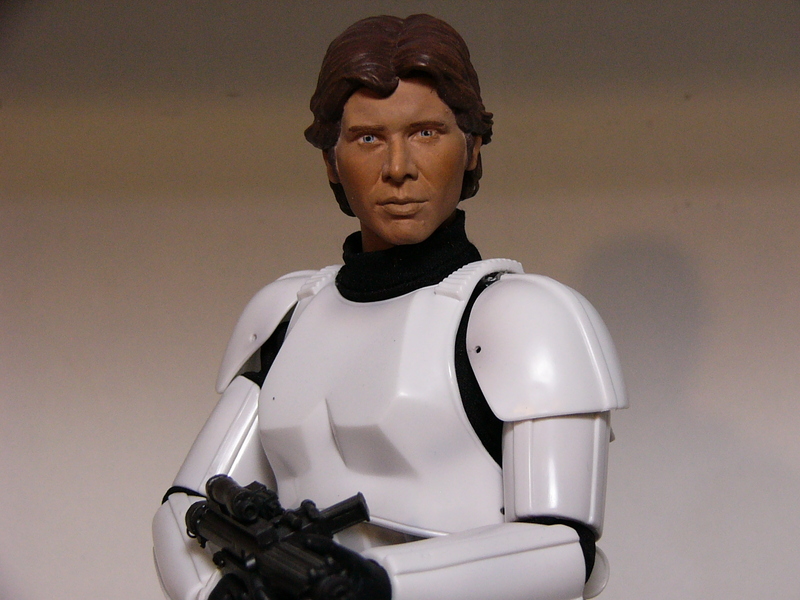 One of these days, I’ll pick up a nice Hot Toys Han in Stormtrooper (or the cool Sideshow Han/Luke 2-pack), but for now, this will do.